TS Freight promises to be your reliable partner for all your cargo shipping from China to Norway needs, and the fact that we are China’s premium Freight Service provider for over 10 years with an impeccable track record will prove that to you. Today as shipping volumes between China and Norway grow, we have worked hard to build ties with some of the finest cargo carriers between the two countries, so that we can facilitate smooth and streamlined import from China to Norway to meet with the growing needs of our global clients. We can transport your goods from any of the major cities in China, including Hong Kong, Hangzhou, Tianjin, Dalian, Shenzhen, Guangzhou, Shanghai, Ningbo, Xiamen and more and will coordinate and handle all the smaller aspects related to import from China to Norway, which otherwise eat in to your time and efforts when handled in-house. We will arrange for pick up and package of the cargo, beside handling and completing of inventory details, documentation and customer clearance formalities. We also oversee the process of loading and unloading of your cargo. Once the cargo reaches its destination in Norway via air or sea, be it Oslo, Stavanger, Bergen, Fredriskstad, Trondheim, Porsgrunn, Kristiansand or Drammen, our on-ground staff will take it upon them to ensure delivery of your goods to the final destination. Our customized packages for cargo shipping from China to Norway are designed to suit the needs of your business, and while some will assure fast delivery at competitive rates via air freight, we also offer sea freight services for clients who desire affordable transportation packages because they have more time on hands. 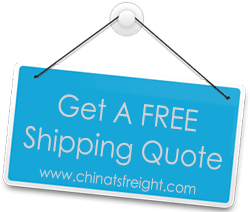 Additionally, if you have any special requests related to goods import from China to Norway, we will be happy to assist you in customizing a freight package ideal for your business needs. So call us or email us today, and we will be happy to support you in the best way possible.